Did You Know There are Apps to Help You Beat Stress??? Nowadays, anxiety issues and depression is at the hike and suicidal news are high around media corners. Well, are you aware of new applications present in Google/Play Store that helps you to beat stress? There are various apps developed in order to calm our mind and reduce the anxiety and stress that controls our mind and body. 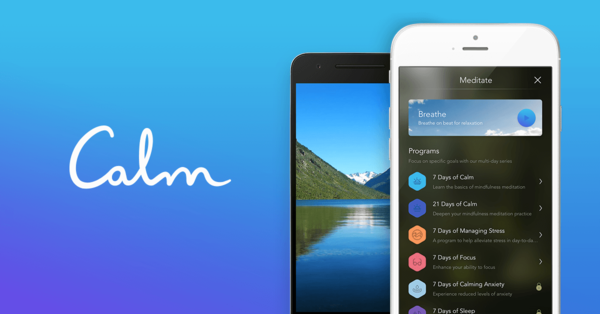 >Pacifica: Pacifica as an app guides us to indulge in deep breathing and muscle relaxation exercises, daily antianxiety trials, and tools including a mood tracker. The app demands to record your own opinions which can support you understand your thinking patterns and recognize possible anxiety triggers. >GPS for the Soul: Created by Arianna Huffington and Deepak Chopra, GPS for the Soul uses biofeedback to help you define your level of stress, and helps you manage stress with deliberation tools that include calming pictures and music. >Stress Doctor: A rotation of stress-busting deep breathing exercises united with a heart rate monitor so you can see the effects on your body in real time. >My Mood Tracker: Once you become more aware of what you're feeling when, you can begin reckoning out links between life events and cycles and your moods, which in turn will help you manage your moods. >Pocket Yoga: Relax with yoga. Look up solitary poses or put together entire routines from a range of yoga styles and all levels of difficulty. The app is a stress buster. >Pay It Forward: The app encourages an everyday act of kindness--a proven strain reducer--with a list of suggestions as well as connection to a community of people who are dedicated to the principles of paying it forward. So, if you are going through a stressful day, install the above apps to beat the stress. Did You Know That Stress at Work Can Also Cause Weight Gain? Lifestyle Changes That Will Help You Manage Stress and Anxiety. Get Healthy With This Recipe!